The control function of the parallel hydraulic elevator control cabinet is implemented by our SM-01-DP parallel elevator control board. 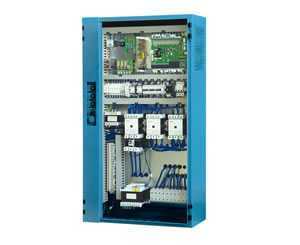 The control cabinet applies full parallel communication and is suitable for low-rise hydraulic driven cargo elevators. 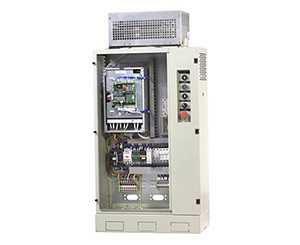 STEP is a parallel hydraulic elevator control cabinet manufacturer in China. 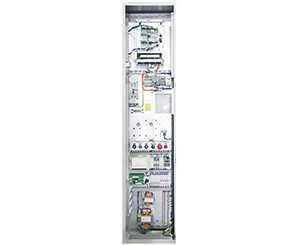 We provide an extensive line of products, including elevator control cabinet, car controller board, fan inverter, general vector inverter, and more. Switches in Machine Room: Governor, upward overspeed protection (which for asynchronous motor), manual wheel, motor side EM-stop and emergency power running switches Switches in Shaft: Terminal limit switch, buffer switch, rope brake switch, pit EM-stop switch and deceleration switch (except limit switch) Switches on Car Top: Car EM-stop switch, car top EM-stop switch, safety gear, landing sensor, over-load, light-load, full-load switch (car bottom without power supply type).